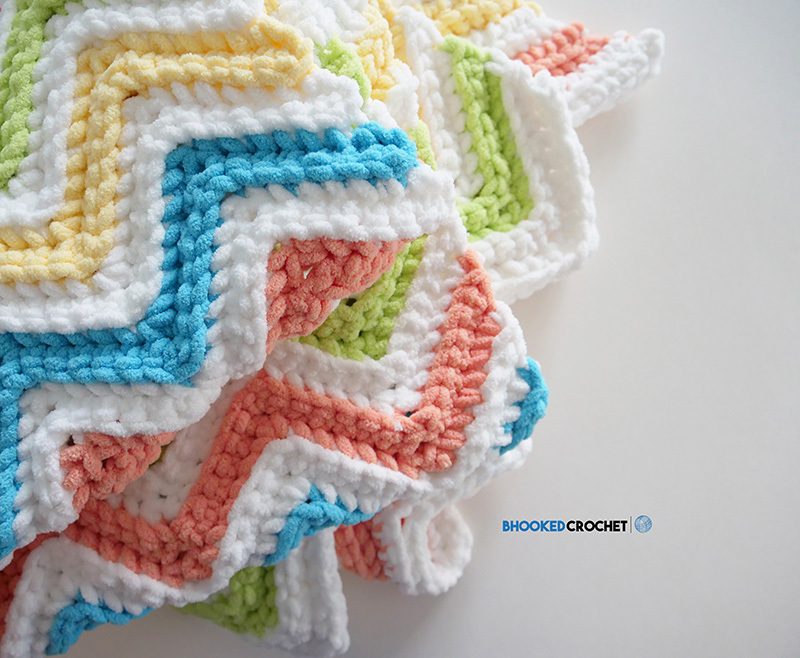 The Perfect Chevron Crochet Blanket Pattern by Yarnspirations! My Niece’s Cuddly New Blanket! I‘m so grateful to have the opportunity to share the personal projects I’m working on outside of B.hooked and my own designs. Even though designing is my passion, it’s so refreshing to follow a pattern that someone else has written. It gives me the chance to turn off the “work mode” and hone in on the meditative and healing properties crochet brings to my life. I want nothing more than to inspire and empower you with the tools you need to achieve your goals whether it be through my personal projects or my designs, tutorials or podcast. No matter where you find me, I’m happy to help. Hi Brittany! 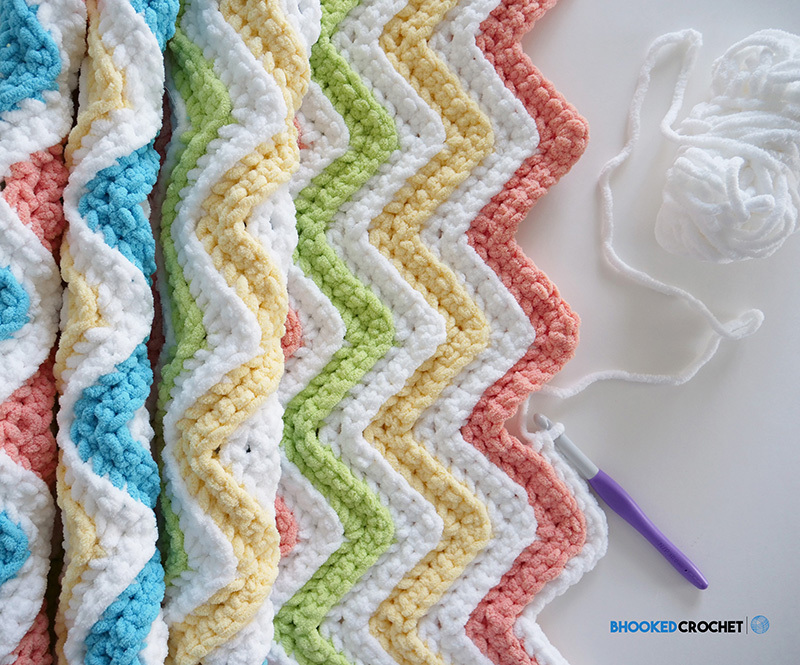 I love the colors you put together for this baby blanket! Did you work your stitches through the back loop only or both loops? 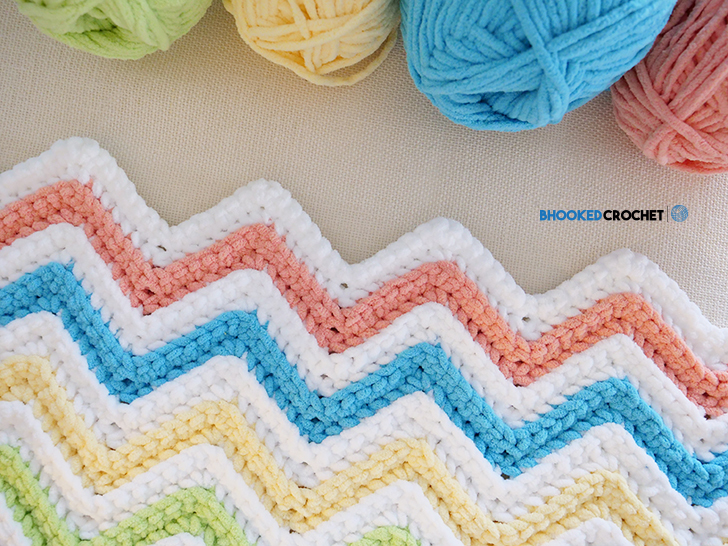 I’m on my third Chevron Afghan right now with double crochet stitches and using the Bernat Blanket Yarn. 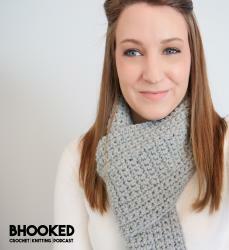 I tried to work in the back loops only but i couldn’t really see the ridges on every row. I was wondering if it’s visible with the single chains while using the Blanket yarn! Thank you Gina! Are these 10 oz skeins or 3.5 oz?